The Partnership of Agri-Trade began in 1984 and has continued to this day, and is a joint venture of the Red Deer and District Chamber of Commerce and Westerner Park. Agri-Trade is considered to be one of the best Farm Equipment Shows to do business in North America. It is one of the shows in Canada that is supported by the major equipment retailers as a “National Stand”. 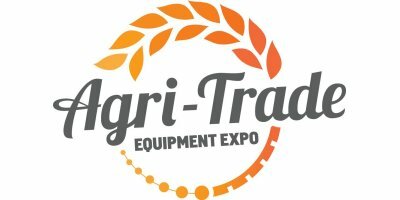 Agri-Trade Equipment Expo attracts annually over 28,000 qualified Agriculture Buyers and in 2016, 475 farm manufacturers to Red Deer to participate in what is considered the Best Agricultural Equipment buying show in Canada generating an estimated $150,000,000.00 annually in equipment sales and tourism spending. Because of Agri-Trade’s unique timing, we are the first show after harvest as well as the first show that kicks off a new planning season for producers. That is the secret to the success of the Show; farmers know what they have to spend. No comments were found for Agri-Trade Equipment Expo - 2018. Be the first to comment!